It might seem like a hassle and quite the chore, but keeping your sidewalk clear of ice and snow during the winter season is an important task. It will help prevent accidents and save you a lot of trouble in the long run. 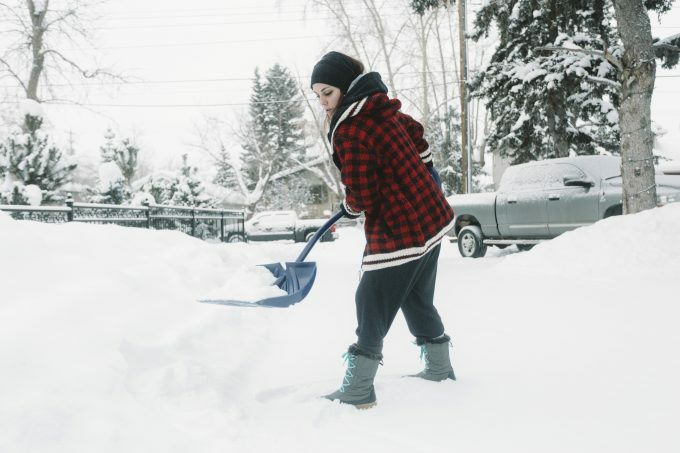 Whether you are a homeowner or a landlord, snow removal and sidewalk safety go hand-in-hand and the job must ultimately get done in order to keep you and your family safe. Discover some safety tips that often ignore the winter task of keeping your sidewalk clear of ice and snow. Whether it is written within the lease agreement, snow removal and sidewalk safety can be your sole responsibility. If the removal of snow and ice on the sidewalk is neglected than it can become a hindrance and a great risk for slips, trips, and falls. Failing to execute timely and effective snow removal could lead more to just than complaints from the renters. It might lead to lawsuits as well. Making the entire situation all the more troublesome for you as a landlord. Before you head out the door to conquer your task, consider these helpful safety tips. Stretching can warm up your body and can prevent muscle strain, so make sure you give yourself some time to do so. Push. Don’t lift the snow. It’s easier to clear fresh, powdery snow than wet, compact snow. Be sure to shovel after every few inches. Mix ice melt with sand. It will help reduce the amount of ice melt you use and even provides extra traction. Spread the mix evenly in layers and thin before the bad weather hits. Then a second thing layer after the weather. Consider using rock salt. It works at temperature above 5 F.
Use ice melt with calcium chloride when it’s below 5 F. It will melt ice in temperatures as low as -25 F.
Scoop up the extra salt. After the ice melts, scoop up any excess and throw it away.